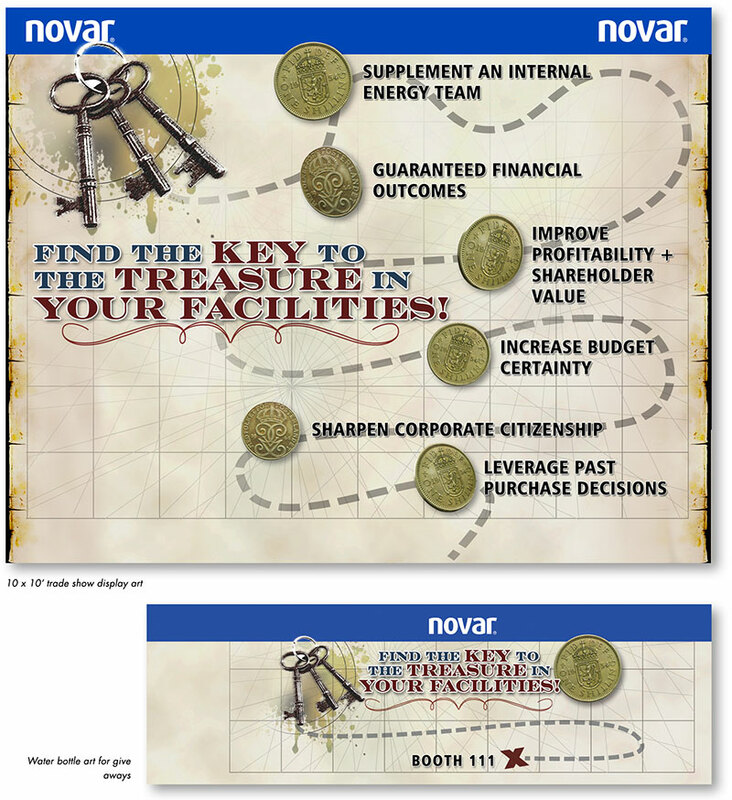 I was commissioned by Novar’s marketing director to create a fun, but professional map-like display. The marketing team came up with a creative way to engage their prospects at an upcoming trade show. I also created art for free water bottles given out to reinforce the interaction. Novar, a Honeywell company, is the global leader in multi-site energy management. 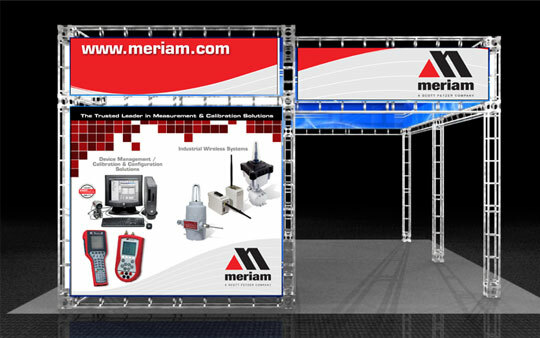 Meriam Process Technologies, a Scott Fetzer company, is recognized as a leading supplier of instrumentation & test and calibration equipment. Their marketing department commissioned me to design a 10″ x 10′ cubed trade show display that would feature their general product lines. In order to ensure clear communication on this somewhat complicated design, I created 3D renderings (top) so the team and production company could visualize exactly how the display would look on show day. Heat Seal manufactures a full line of packaging and process equipment for the food service and industrial packaging industries. In the mid 2000s, I worked with the new CEO and marketing director in redefining their brand. 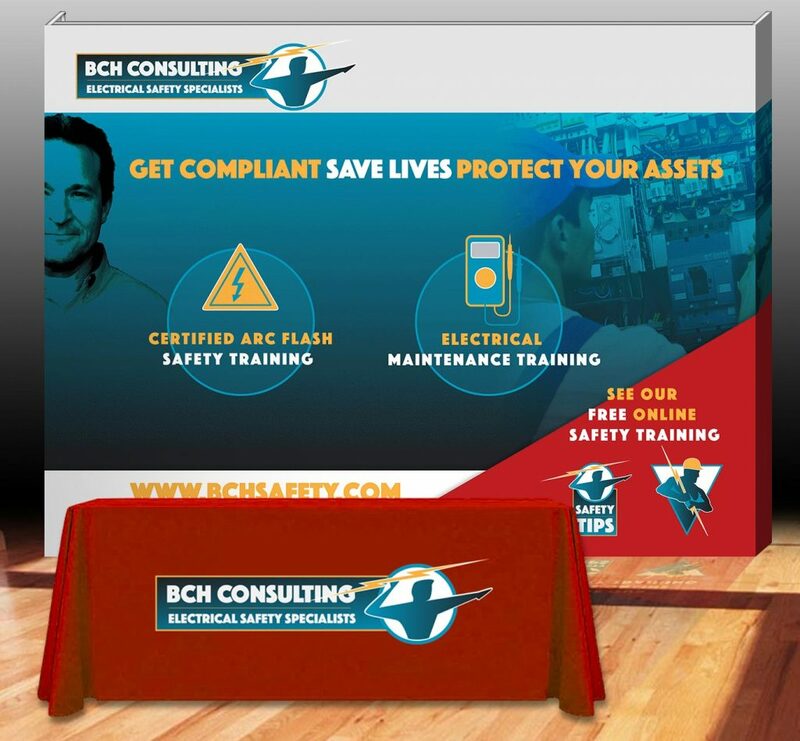 The new marketing efforts would require a versatile trade show display that could feature their entire line of products in a 30′ wide full size version (below) , or separated into specific 10′ stand alone panels.